John H. White (*1945) is a renowned American photojournalist. 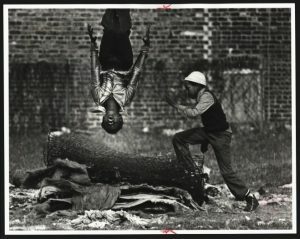 His photography documents everyday lives and political events in American cities, particularly Chicago. He was a staff photographer on the Chicago Sun-Times for 35 years, and won a Pulitzer prize in 1982. 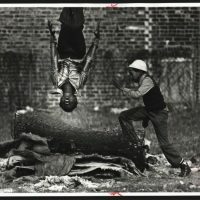 Our exhibition concentrates on photographs depicting life for families living in Chicago housing projects in the 1980s. The controversial dissolution of the Sun-Times photography department earlier this year stirred up much debate regarding the significance of photojournalism. We are therefore particularly pleased to present this exhibition of works by one of the world’s most influential photojournalists as a testament to the enduring importance of this occupation.